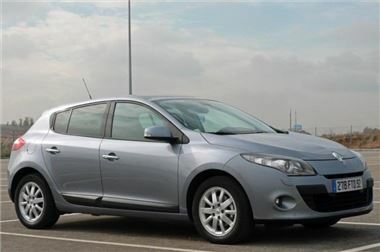 Filtration expert Pipercross has released a new range of filters for the latest incarnation of the Renault Megane. Covering both petrol and diesel variants, the new panel offers a direct replacement for the OEM part, but with several dynamic benefits. Fabricated here in the UK, each Pipercross filter uses multiple foam layers to allow up to 30% more air flow through to the engine, improving power, torque and drivability over the stock paper filter. Fitment is simplicity itself as the Pipercross upgrade simply slips into the factory airbox in seconds. As well as increased flow rate, all Pipercross filters can actually filter down to a much finer rate than factory filters, preventing any foreign particles from entering the induction tract, offering even greater protection for your engine. This same construction means that the filter can also go longer between service intervals than even leading cotton-gauze filters, before needing to be cleaned. Despite these impressive abilities, all Pipercross panel filters come with a lifetime warranty and can be easily cleaned again and again for re-use, providing years of faithful service and paying for themselves many times over. This is due to their patented reticulated polyurethane foam and multi-laminated open cell construction. Priced at £34.85 including VAT. For more details on the 3,000 vehicles covered by the Pipercross range, visit www.pipercross.com.